Sign up to receive our Canyon Currents Newsletter for quarterly updates from the River and Trail. You'll enjoy regular features such as the Guides Corner, Naturalists Corner, River Reads and River Recipes. 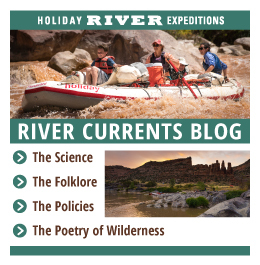 The Newsletter is where you will also find out about new specialty trips, upcoming specials, snowpack and expected river flows as well as important environmental, social and historic news from the river and field.